I can't imagine why anyone would dislike this marvelous film. Danny Kaye does a superb job playing a double role, showing a subtlety of acting ability that some might not have thought he had. He is not, for once, cast like a complete fool. Don't get me wrong; he plays those parts well, and is often hysterically funny, as in The Inspector General and The Court Jester. In that picture he does get to play a part that is not a fool, as he is hypnotized into thinking himself a swashbuckling hero, but it is a role that calls for him to lampoon the part he is playing. In On The Riviera, however, he plays a genuine masterful leading male role: a millionaire French airplane manufacturer with a gorgeous wife who is worth the price of admission. His other role is a traditional Kaye role: an American comedian. The gimmick is that he is an almost perfect double for the suave French romantic lead. He really plays three roles, and the subtlety with which he distinguishes them is superb. He is the American comic, he is the French millionaire looking a little like Yves Montand, and he is the American comic successfully passing himself off as the millionaire, fooling the wife and the valet as well as the general public. The role reminds me of Yves Montand in Let's Make Love with Marilyn Monroe: he plays the millionaire and he plays a poor guy trying to break into show business by passing for the millionaire. 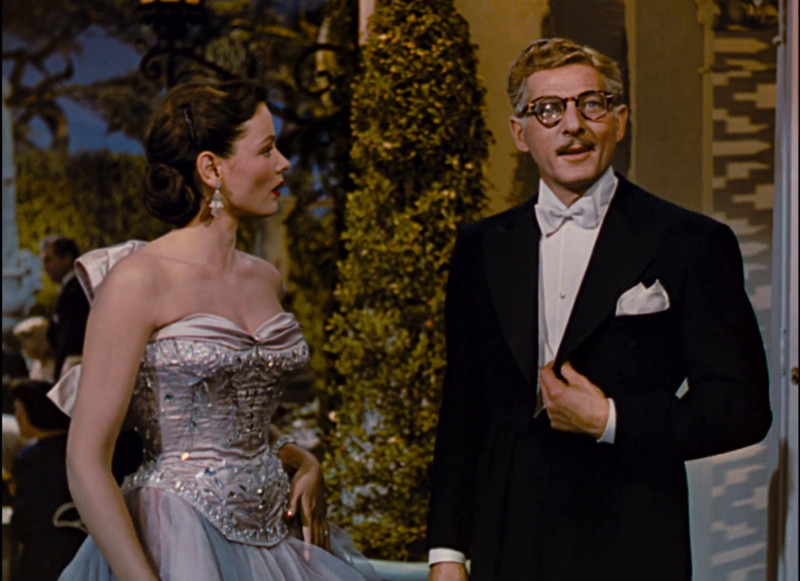 All in all, a triumph for Danny Kaye, well decorated with gorgeous females. 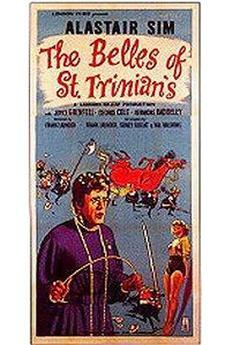 Not all Danny Kaye films have lasted well. In my opinion the two that have are "The Court Jester" and "On The Riviera". "On the Riviera" is a superbly mounted comedy, with gorgeous Riviera scenery, lavish sets, and some ravishingly beautiful women. 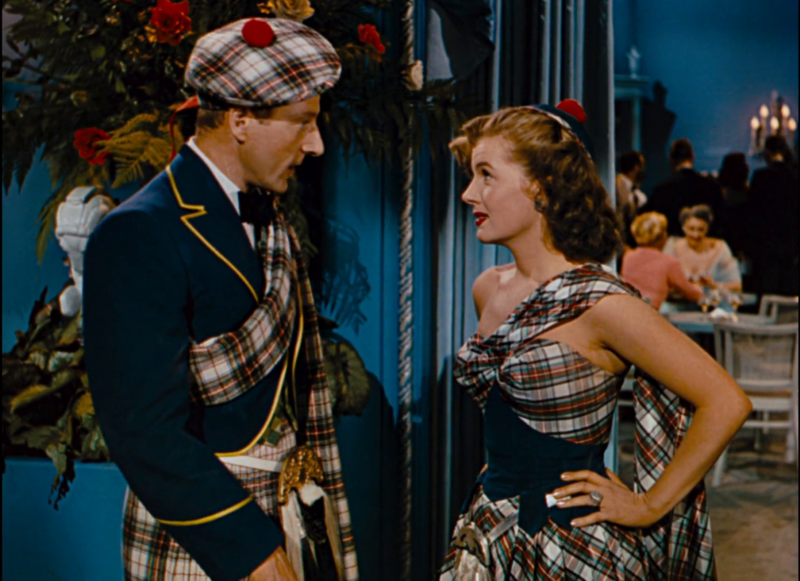 The mistaken identity plot is an old one but there great scenes of confusion and some good and sometimes surprisingly suggestive dialogue, unusual for the time especially in a Danny Kaye movie. 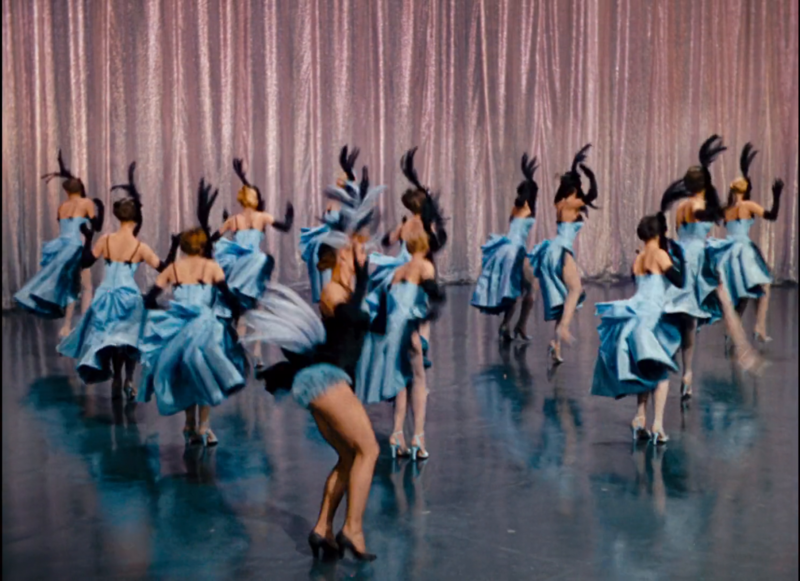 Dance routines are imaginative and energetic with some statuesque and eager looking chorus girls. Gwen Verdon does a specialty number. Thoroughly enjoyable, it stands up to repeat viewing. My axiom is that any movie featuring Gene Tierney deserves to be viewed, and "On the Riviera" is one of them. The plot is a moderately funny comedy of errors, with Danny Kaye in the roles of an American cabaret-entertainer and of his double, a French hero-aviator. 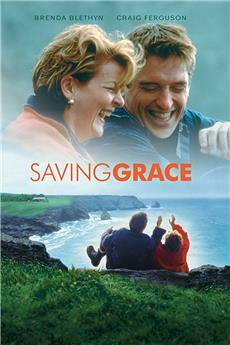 The acting is generally good. The photography is accurate, with bright, spirit-raising colors, worthy of the beauties of the Cote d' Azur (but the movie appears to have been largely made elsewhere). Kaye performs a number of nice, though longish, ballets. Gene Tierney has the opportunity to show her talent just in one scene, when she is uncertain whether she has slept with her actual husband, the pilot, or with his American double (by the way: a bit salacious situation for the early fifties, isn't it?). With her usual professionalism, Gene doesn't steal the show to the pretty Corinne Calvet, who in fact has a larger role. In any case, as soon as Gene appears on the screen, the movie soars: the splendor of her eyes obscures the sky and sea of Provence. 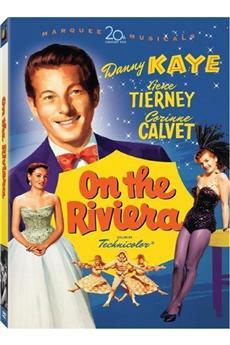 After all, "On the Riviera" is an enjoyable movie, especially for fans of old classics.